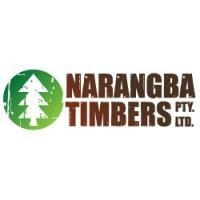 Narangba Timbers is the leading name in the timber industry. We provide products for various purposes—decking, flooring, fencing and a lot more. If you're in Queensland and you need some timber assistance, you know who to call. Why ethical timber suppliers in Brisbane and across Australia are committed to saving our native land from deforestation. Brisbane, QLD, 12 May 2016 - Some timber suppliers, in Brisbane and across Australia, are committed to the cause of sustainable, ethical forestry. However, much of the timber you see in other stores is unethically harvested by an unlikely source: the NSW Forestry Corporation. According to a recent report from The Australia Institute (TAI), the NSW Forestry Corporation has spent more than $78 million in taxpayer money over the previous six years. More amazingly, 95% of the revenue they do generate comes from the non-sustainable deforestation of native land. If the Government Does it, How Can it Be Unethical? The practice of harvesting trees on native land instead of plantations is perfectly legal. However, timber suppliers in Brisbane and across Australia who are concerned about environmental impact see it as “unethical” for three main reasons: effect on global warming, deforestation and negative impact on endangered species. The carbon footprint measures how much carbon any process releases into the environment. When trees are sustainably and ethically harvested, they actually absorb carbon from the atmosphere and store it as timber. Trees absorb and store most of their carbon when they are young; the process slows considerably once they mature. When native land is forested, trees are chopped down but not replanted. On a sustainable timber plantation, every mature tree that is cut down is replaced by a new tree, restarting the cycle of carbon storage. Simply put: unethical forestry increases climate change while ethical forestry decreases climate change. In NSW, only 9% of native land is in its original state, even though 61% is still covered with some form of vegetation. Forestry of native NSW land is responsible for nearly twice as much forest canopy loss as the next two causes combined: infrastructure and agriculture. When timber is harvested from plantations, there is no loss of forest canopy. The clearing of native lands has been estimated to present the most dire threat to 90% of our 999 endangered species. Two examples are the black striped wallaby and the yellow-bellied glider. Narangba Timbers are timber suppliers in Brisbane. They specialise in world class customer service, high quality timber and low prices. They offer a wide assortment of timber, including timber decking, timber flooring and timber fencing. To learn more or to place an order, call their Brisbane office on (07) 3888 1293 or visit their website: http://www.narangbatimbers.com.au/.